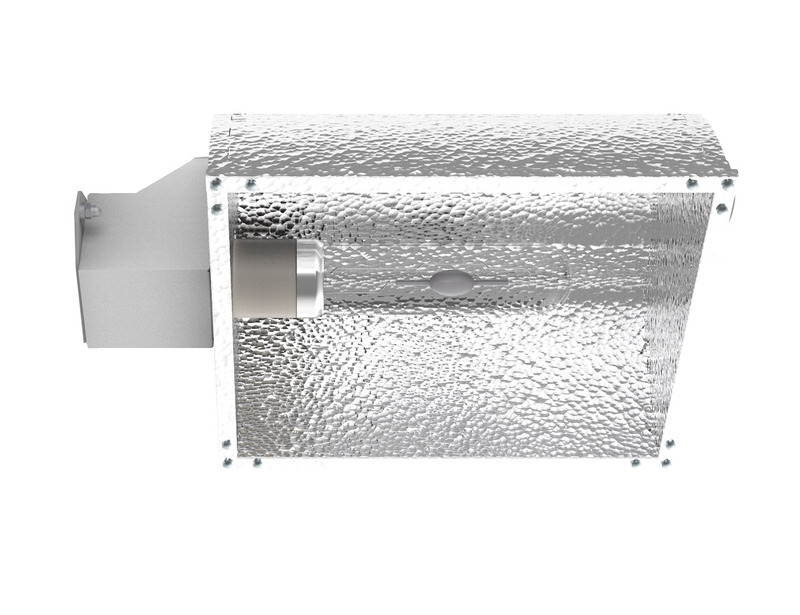 The Aurora is a state of the art 315W Ceramic Metal Halide (CMH/CDM/LEC) grow light fixture. 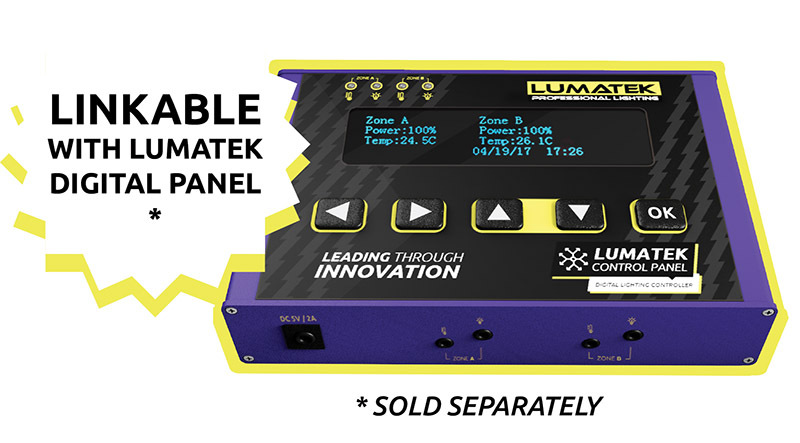 This is an integrated all-in-one fixture combining a Lumatek controllable electronic ballast, compact hammertone reflector and 315W CMH lamp. 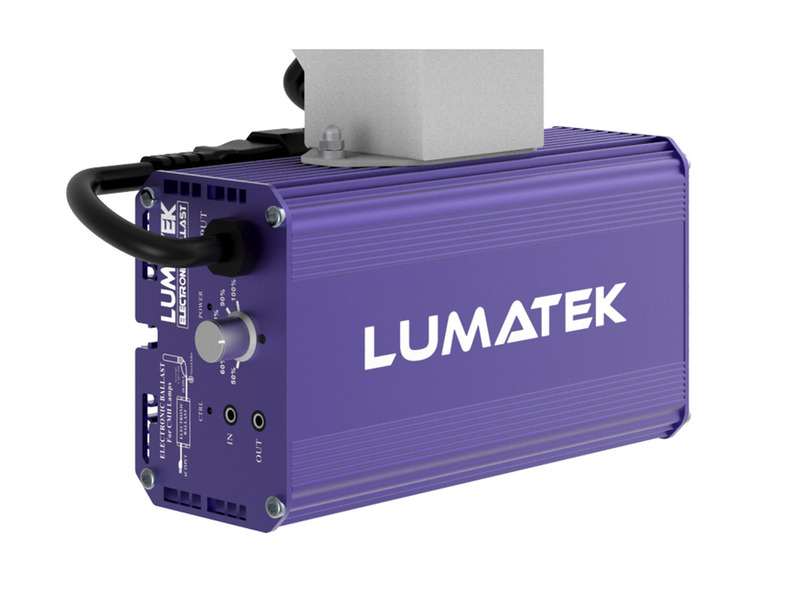 The e-ballast has an option to be remotely controlled with a Lumatek digital control panel (sold separately) and is dimmable. When used with the controller the Aurora can be programmed with on/off times, simulated sunrise/sunset with a timed fade to and from full brightness and automatic dimming if grow room temperature parameters are exceeded. 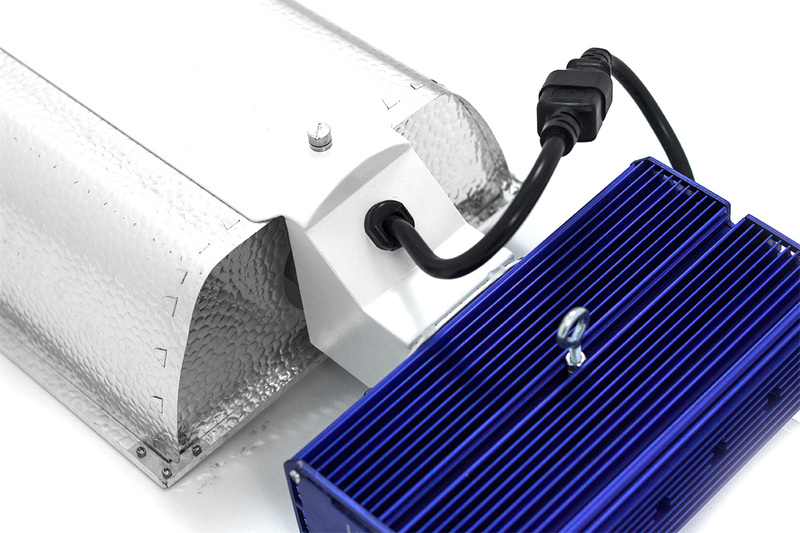 The Aurora’s reliable 315W CMH digital ballast has been successfully used in cultivation facilities around the word and uses square wave technology to efficiently fire and operate 315W Ceramic Metal Halide (also known as CMH/CDM/LEC) lamps. 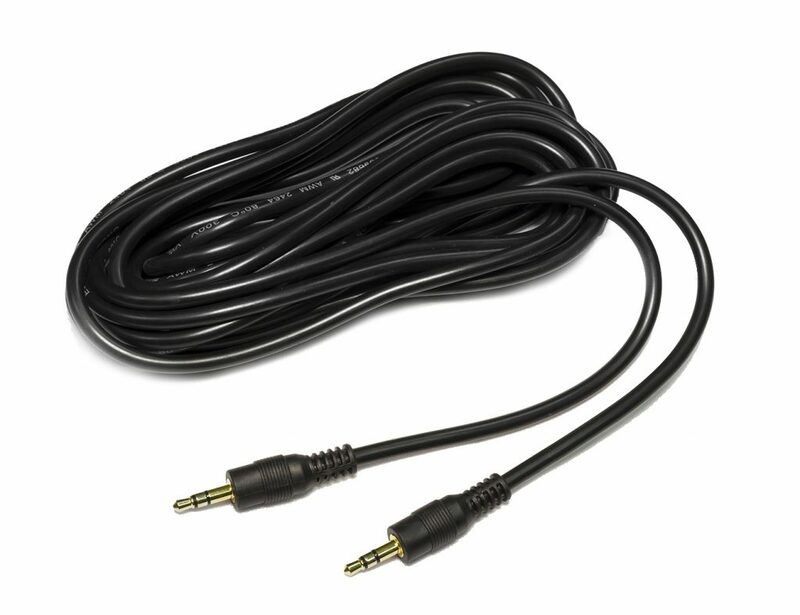 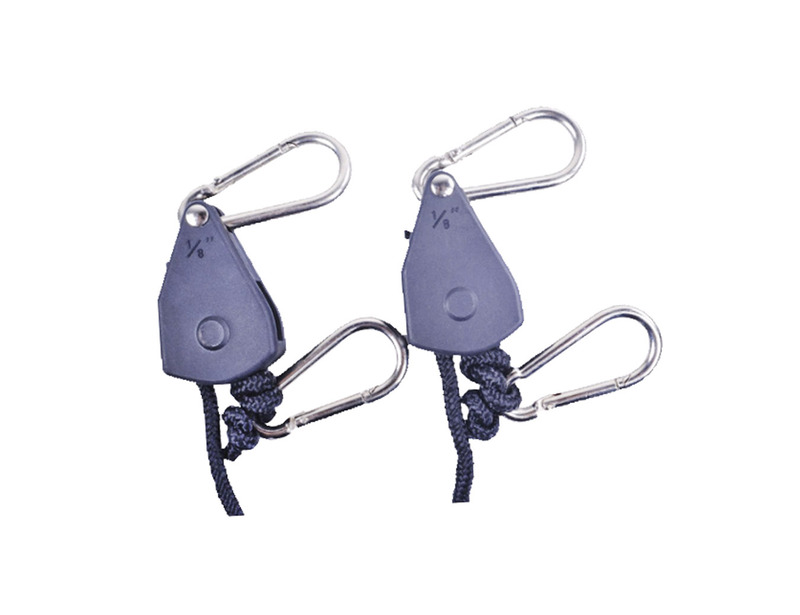 For safety this ballast uses full circuit protection including open/short circuit, over temperature, over/low voltage, end of lamp life/rectification and EMI suppression. 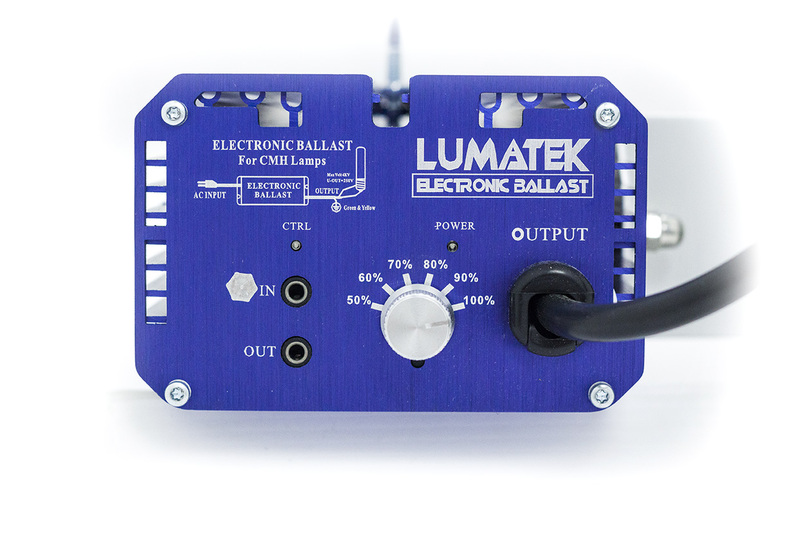 Ballast has an LED indicator and is dimmable for optimum control. 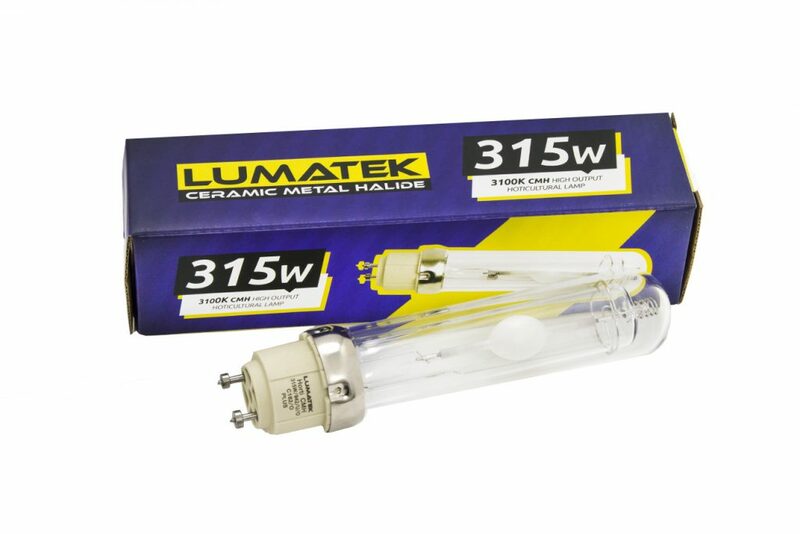 The Aurora”s 315W CMH pulse-start lamp has been engineered for use with Lumatek 315W CMH electronic ballast and is produced using high-grade ceramic arc tube technology and specific horticultural gas blend that creates optimal spectral output for healthy plant growth. 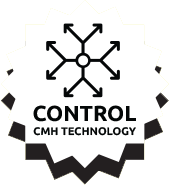 CMH technology creates high energy PAR/PPF levels with low heat at full spectrum which is closer to sunlight and produces healthier plant growth and larger yield. 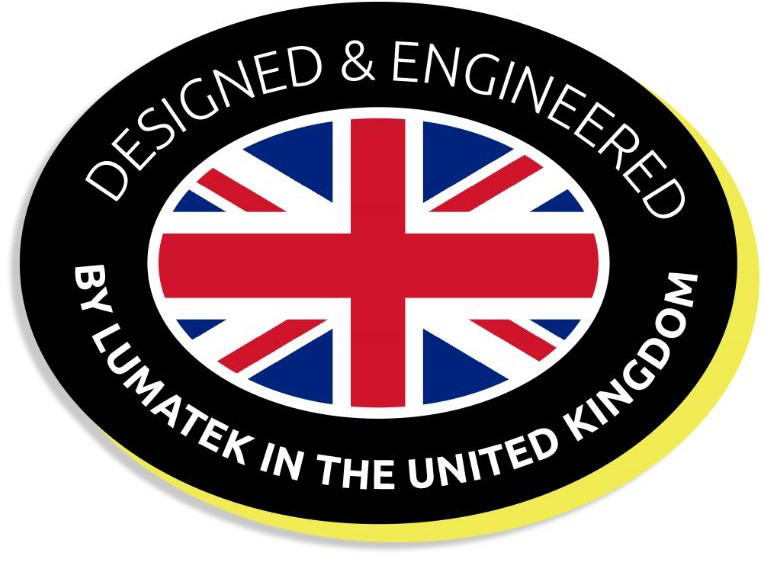 With a CRI (Colour Rendering Index) of >90%, CMH is perfect for growing high quality produce and essential oil extraction. 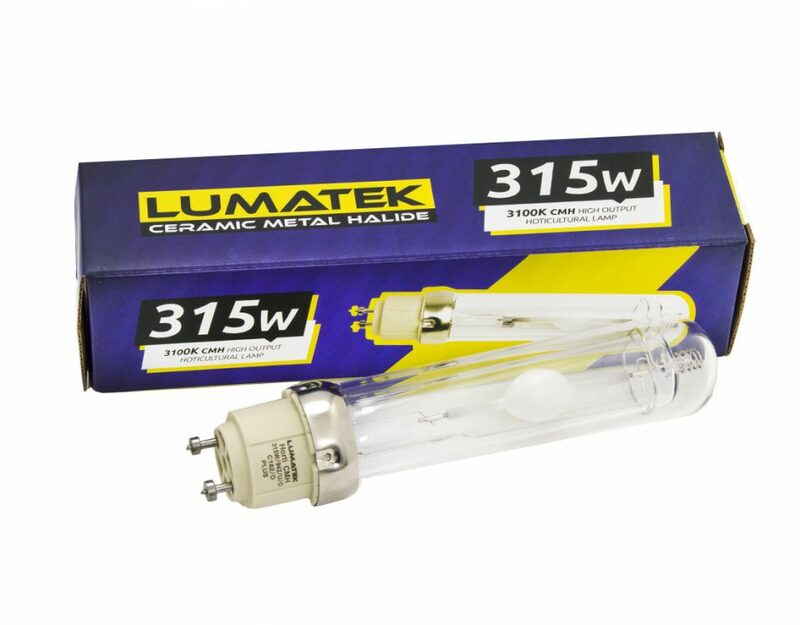 The Aurora is supplied with a Lumatek 315-930 (3100K Agro) Ceramic Metal Halide lamp which is also available in 4200K Daylight spectrum format (Lumatek 315-942).